Are you worried about your Parent or Loved One? Realizing that a parent or a friend is beginning to struggle in their home can be very distressing, particularly as many elderly people refuse to admit to others, and even to themselves, that they are no longer coping as well as they once did. 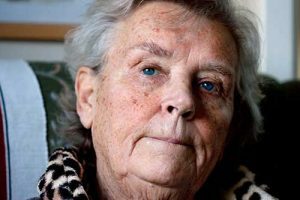 It is often a matter of pride for elderly parents not to burden their grown-up children with their worries and children sometimes find it very hard to talk to their parents about such matters or to have their concerns taken seriously. As the daughter of one client said to us recently “As I’m sure you are aware with your expert experience in these matters, a child is always a child to a parent – no matter how old we get – and any amount of suggestion from me on these matters falls on deaf ears!” Many children find themselves in the uncomfortable position of being required to provide a level of support which is unsustainable, given their own responsibilities as a parent and breadwinner. So what do you do if your parent insists on refusing external support but still needs to rely very much on you? Your parents have the right to make their own decisions but you also have the right to let them know if their decisions are making it very difficult for you to manage. A good example might be if you are being called several times a day, or even at night, to help them with various issues. If you are a single parent with young children, it can be impossible to leave them and visit your parent. It can be difficult even if you have a supportive partner. The situation is made worse if you live at a distance from your parents. The world of work has changed dramatically in the last decade and many older parents simply cannot understand the pressures and demands which work now places on us. Ours is not called the Sandwich Generation for nothing! Your parents might need sensitive and professional help to identify what type of assistance they require. They are likely to need a lot of reassurance during this process. It might be that making adaptations to the home or moving to somewhere more manageable or supported would solve many of their problems. This can seem an overwhelming prospect for someone who has lived in the same house for many years or who feels unable to cope with the upheaval. Our experience has shown just how our clients blossom when they have been supported to move, are living somewhere appropriate to their needs and have been helped to settle in to their new home. Having help to settle in is particularly important if a parent is moving away from their home community, perhaps to live nearer their children. We are happy to provide a free initial consultation for parents and their families who are facing changing circumstances. We will not try and persuade – we believe very strongly that our clients should be supported and encouraged to make their own decisions – but we do understand the fears and anxieties that beset elderly people when they need to make changes and how these often prevent people from making decisions, even when they feel that it is the best thing to do. Most importantly we can be an independent voice of reason which can help both parents and children understand the problems and take the right course of action to solve them before a crisis hits. It is sometimes difficult to remember when you are juggling so many responsibilities that your parent has the right to make their own decisions. You may not agree with them and feel that their decision is wrong. You may even consider that their decision shows they no longer have the capacity to make their own decisions. However, the Mental Capacity Act 2005 is very clear that an apparently irrational or “wrong” decision does not, by itself, provide evidence of lack of capacity. Of course, the situation needs a very different approach if your parent has been diagnosed with Alzheimer’s or another form of dementia or if you believe that they have lost mental capacity and have not yet been diagnosed. We are very experienced in working with people at various stages of their dementia journey and their families, attorneys and advisers. Our sensitive, empowering approach can ease the anxiety that many people in this situation feel. We encourage and facilitate our clients to retain as much independence as is possible and to be safe in their individual circumstances. By providing a Continuing Support or Oversight service we can help our clients adapt to their changing circumstances. Whatever the situation, TimeFinders provides practical and emotional support to older people and their families in changing circumstances. If you are worried about a parent or elderly relative, please call us to arrange an initial free consultation.